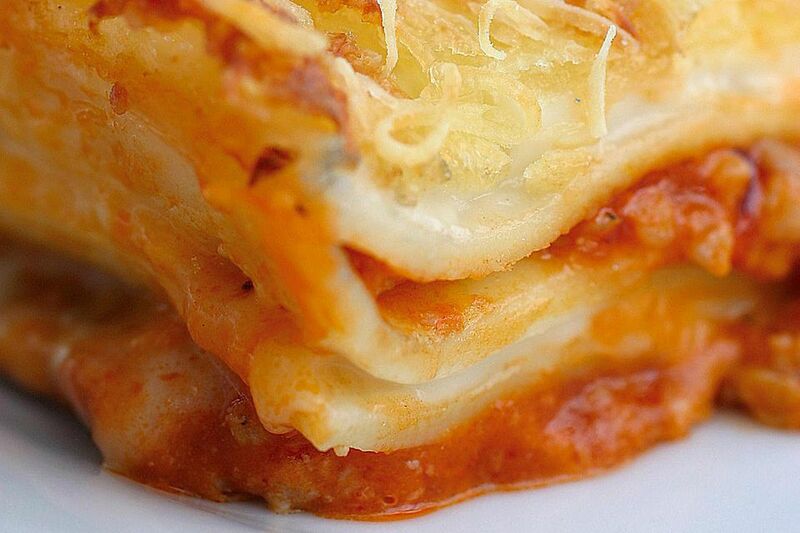 Yes, believe it or not, you can cook lasagna in your crockpot. Make sure you don't stir this recipe or you'll ruin the layers you built so carefully. Malfada noodles, aka, mini lasagna noodles, is the best kind of public to use for this recipe. In a large skillet, brown ground beef with chopped onions and garlic. Season with season salt and pepper to taste. Drain thoroughly. Add spaghetti sauce, diced tomatoes, and water. Simmer 10-15 minutes. In a large bowl, combine ricotta cheese, parsley, and egg, and beat well. Add half of the mozzarella cheese. In 5-6 quart crockpot, pour 1 cup of the beef sauce. Then top with a layer of ​Mafalda noodles. Top with 1 cup mozzarella cheese, more ground beef sauce, then a layer of the cheese mixture. Repeat layers to fill crockpot 3/4 full. Cover crockpot and cook on low for 6-7 hours - DO NOT STIR. Top with Parmesan cheese and serve. If you have a newer, hotter crockpot, check after 4-5 hours.